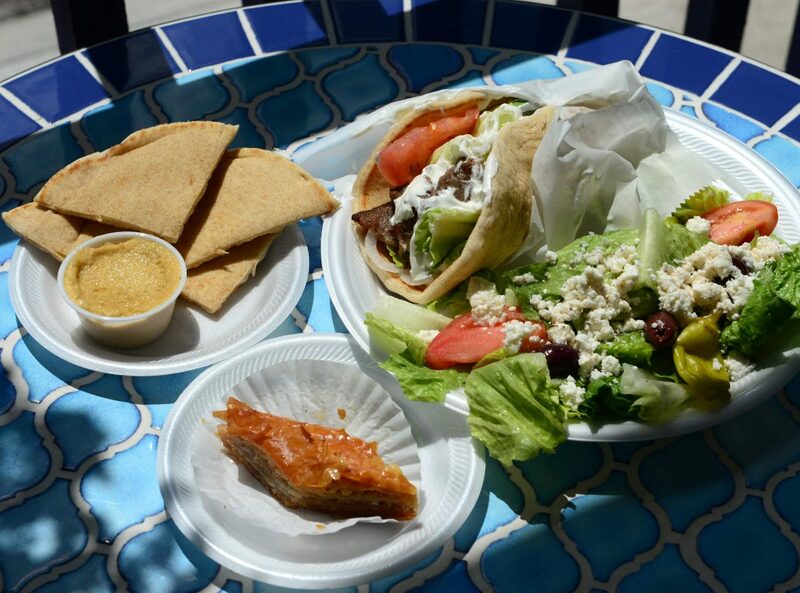 The Best of Crete has been serving authentic Greek food to the Charleston area since 1983. My parents Joann and William, along with my brother Greg started the shop in the Charleston Town Center mall. We moved to our current location(816 Beech Ave) in 2015. Our hours are: Tues.- Friday. 11a.m. to 6 p.m. In addition to our store front we will cater you next business meeting or event. Call us at 304-343-3292. Deluxe platters come with your choice of two sides, rice, green beans, Greek salad, mashed potatoes, Orzo salad, or hummus & pita. GYRO – Beef and lamb with lettuce, tomatoes, onions, and cucumber sauce wrapped in a toasted pita bread. CHICKEN GYRO – Grilled chicken breast filets, with lettuce tomatoes, onions and cucumber sauce wrapped in a toasted pita bread. SOUVLAKI – Marinated pork tender loin with romaine lettuce, tomatoes, onions, and cucumber sauce wrapped in a toasted pita bread. GREEK SALAD- Romaine lettuce topped with tomato, peppers, olives, feta cheese, and our house wine vinegar and olive oil dressing. GRILLED CHICKEN SALAD- Grilled chicken breast served on a bed of romaine lettuce with tomatoes, olives, feta cheese, peppers and our wine vinegar and olive oil. SOUVLAKI SALAD – Grilled pork tender loin over a bed of romaine lettuce with tomatoes, olives, feta cheese, peppers and our wine vinegar and olive oil dressing. VEGGIE PLATE- Our delicious Greek salad, green beans and rice pilaf. TASTE OF CRETE – A sampling of our grilled gyro meat and chicken on a bed of rice pilaf served with green beans, Greek salad, pita bread and cucumber sauce and baklava. All for $11.99 Substitute gyro or chicken with souvlaki meat or add it for $2.00. RICE AND MEAT BALLS– Our delicious meat balls and marinara sauce over a bed of rice. GRAPE LEAF ROLLS – Grape leafs stuffed with rice, ground beef, and spices. PIZZA BREAD – Topped with mozzarella cheese and you choice of pepperoni, gyro, black olive, mushrooms, onion, or mild pepper rings. 1 filling $5.99 each additional filling .25 ea. PITA PIZZA – Topped with mozzarella cheese and your choice of pepperoni, gyro meat, ham, black olives, onions, mushrooms, or mild pepper rings. 1 topping $3.99 each additional topping .25 ea. BAKED LEMON CHICKEN – Chicken baked to perfection served with your choice of two sides. SPINACH PIE – Spinach blended with three cheeses and baked with phyllo dough.